The Wisconsin competitive fall marching band season begins mid-September and runs until mid-October with a number of independent marching band shows held around Wisconsin. The season concludes with the WSMA State Marching Band Championships, held each year in October at Perkins Field on the UW-Whitewater campus. More than 30 of Wisconsin’s finest marching bands annually participate in this culminating event that brings all participating bands together in one day to perform and compete on the same field renowned for its marching history for a large and appreciative audience where more than 10,000 people attend each year. Based on school size, bands are assigned by WSMA and participate competitively in Class A, Class Double A, Class Triple A or Class Quad A. Bands can also participate in the Wisconsin marching activity in the Festival Class designed for bands that wish to participate but not in the competitive classes, or the Novice Class for bands participating as a competitive band for the first time. Independent shows provide marching bands the opportunity to perform for an audience as well as a panel of adjudicators who give feedback and ideas for improvement as the season progresses. Marching bands will travel to several of these independent shows in preparation for the WSMA State Marching Band Championships. 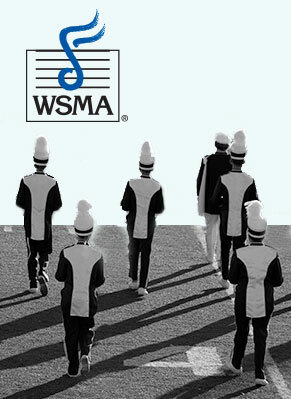 These marching band shows are sponsored and managed by the host school while utilizing WSMA adjudication sheets, rules and procedures of the Championships. 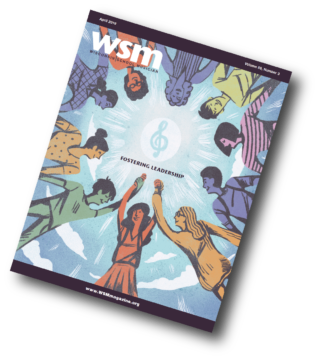 The WSMA State Marching Band Championships is a one-day event that brings families and communities together to support the musicianship, art, dedication and creativity of participating students, directors and schools in the final performances of the Wisconsin marching activity. Adjudicators are selected from around the nation to view these performances, provide feedback and determine rankings resulting in an awards ceremony recognizing each bands achievement with Division Awards, top-performing groups in each class as well as Caption Awards for music, visual, percussion and color guard.